Make a splash in your garden with the delightful and dazzling Dolphin Necklace! The leaves are shaped like little dolphins leaping, and it’ll flow down your pots and hanging baskets in a beautiful display. A must have for any succulent enthusiast, and sure to amaze. 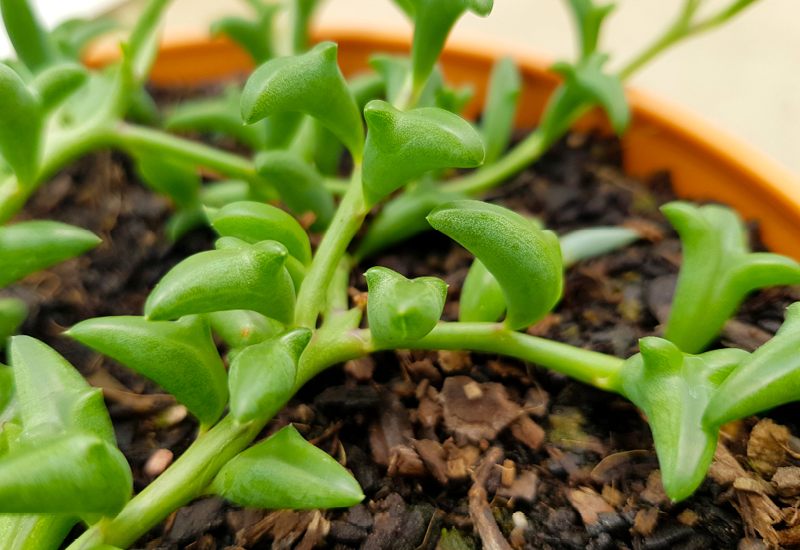 Place in a well lit location in a well draining succulent potting mix, with occasional watering.